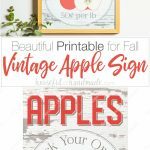 Decorate your home for fall with this fun apple picking fall printable plus more free printables! We are still waiting for fall to come. But even without the cool weather and colorful leaves, we are enjoying all things fall. Lots of pumpkin spiced coffee, baking with apples & pears & pumpkins, evening walks, and fall decorating! 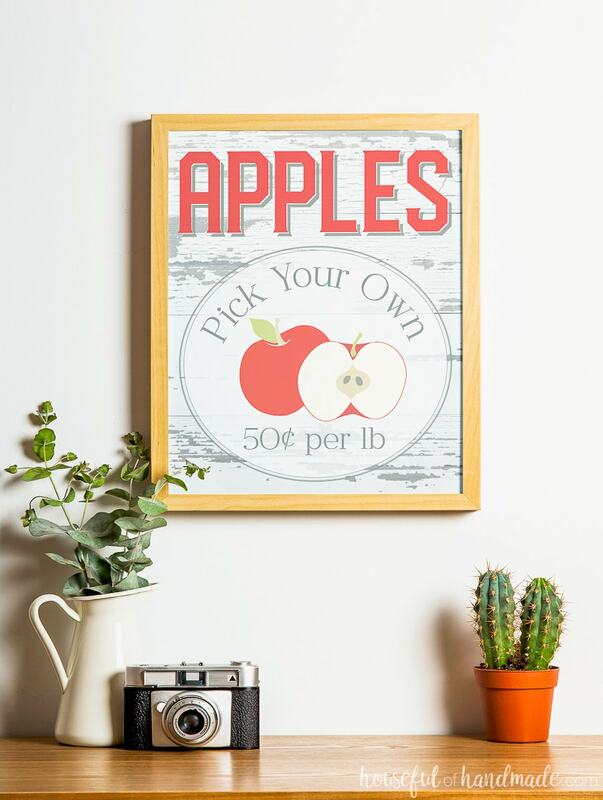 The best way to start decorating for fall is with a fall printable like this fun Apple Picking sign. Plus, I have joined up with 8 other amazing bloggers to bring you lots of beautiful fall printables. Bring on all things fall! When trying to decide what to create for my fall printable, I always look at my favorite parts of fall. One of the things I love most about fall, is the abundance of delicious fruits that are ready to picking. We love spending time as a family scaling apple, pear and peach trees, filling our boxes full of fall goodness. But no fruit means fall as much as apples. Apples cooked into pies and cakes. Yum! Apples used in savory dishes and salads. Yum! Warm apple cider. Double YUM! 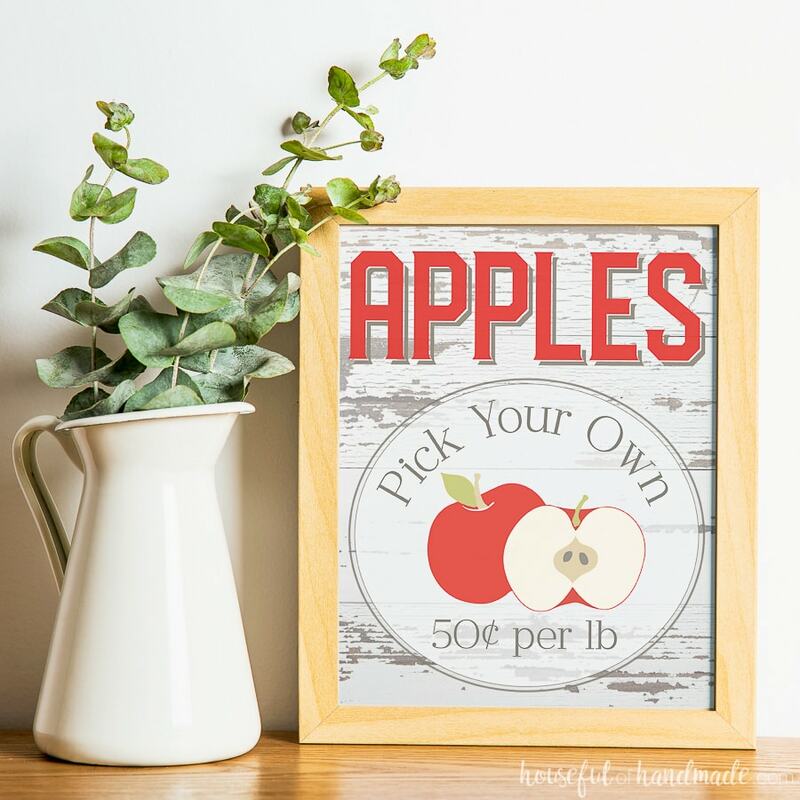 And maybe because I just spent the weekend canning peaches and pears, I am a little done with those, but I decided to make the perfect fall printable to highlight the beauty of apple picking! Even if you don’t have apple trees or an orchard to visit. You can celebrate the best of fall with this apple picking fall printable. Just print it out and place it in your decor for instant fall! 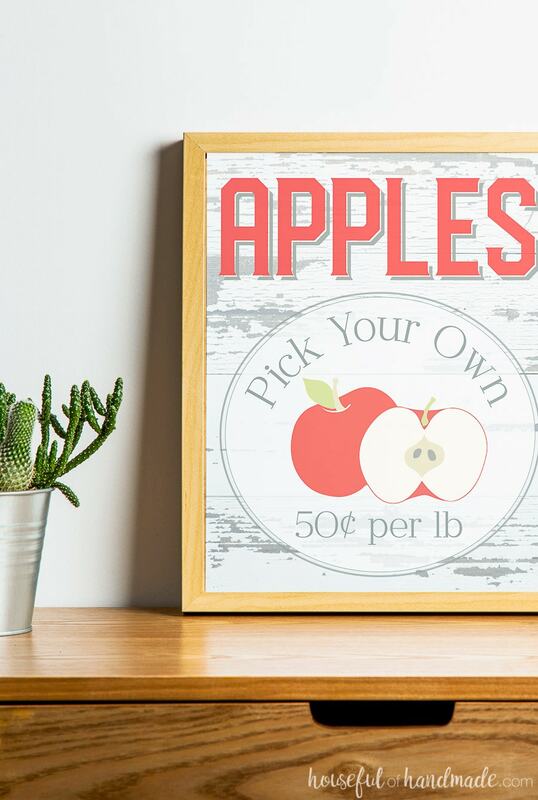 You can make this fun DIY clipboard picture frame to hold your printables (and they are super easy to swap out), or you can build a rustic picture frame in 20 minutes to make your apple picking printable extra fall-like. However you want to use it, I am sharing the apple picking fall printable in my subscriber library. Click here to subscribe to my newsletter and gain access to all the freebies. If you already have your password, click here to download them. 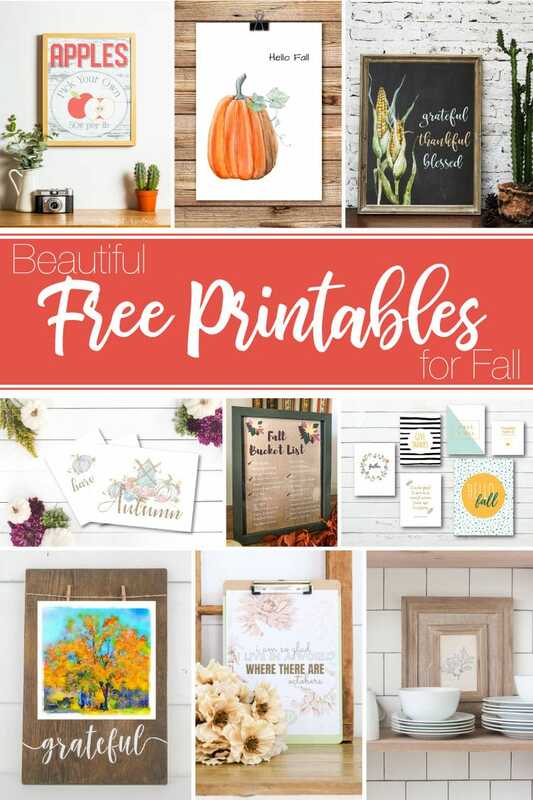 Then make sure to visit the posts below for even more fun printables for fall. Maybe if we all decorate, the cool weather and falling leaves will follow! Fall Watercolor Printables from Lovely Etc. I wish we lived in an area where we could pick apples! We have strawberry’s in the summer… I’ll just have to live through this cute little printable. It definitely feels like Fall! Strawberries in the summer is a good trade for fall apples. On that’s CUTE! We go apple pickin’ every fall… so I love this! Last year the apples here were killed from a late frost so they were sparse, looking forward to apple picking this year! I absolutely love this – and now I’m really feeling the itch to go pick some apples! Me too! I keep calling my sister to see when her trees are ready! Bring on fall. Oh my – this is perfect for our family room! I love the vintage feel of it! Thank you for sharing! Thanks Handan! I hope you love it in the family room this fall. Loving this printable! Apple picking is one of my favorite things about this season! Thanks Randi. I cant wait for all those fall apples. This is the sweetest printable for fall! We are hoping to get to the apple orchard soon! Thank you for sharing! I am so excited to go apple picking too. Happy Fall!